When you plan your next Caribbean vacation in Bayahibe, Dominican Republic, we can prepare a customized package for the whole family. Divers or non divers can spend a day together, scuba diving, snorkeling, suntanning, relaxing and having fun on our boat Sharky. And even your next vacation in Punta Cana resorts can include a beautiful day of snorkeling or scuba diving in Bayahibe. 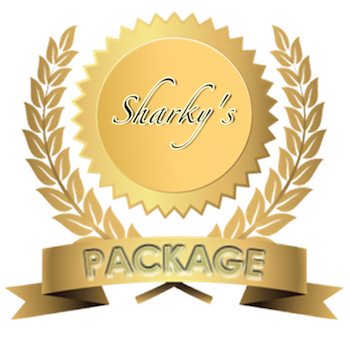 Sharky’s Package – 3 days of 2 tank dives including the Dive Trip to Saona Island with a lunch on the boat or on a private white sand beach. The price is 454 USD * per diver (based on 2 certified divers, equipment rental included, refreshment, drinks and lunch for the day trip included as well). 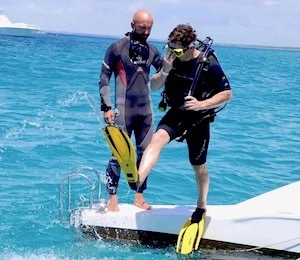 Big Diving Package – If you are coming for a week long dive vacation this would be the right package for you 5 days filled with 10 – 13 dives, chosen according to the weather condition. Custom Packages Book our boat just for your group, minimum 2 people (of course we can price even single person packages) maximum 5 divers or 8 snorkelers to go with Sharky. If your group is bigger we will use bigger boat or a catamaran. 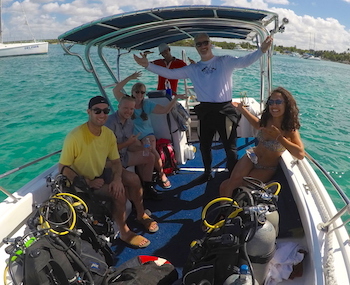 Contact Us to create a perfect Dominican Republic diving vacation. We can also arrange the airport transfer from La Romana, Punta Cana or Santo Domingo airport. * All our prices include weights / air and transportation from the hotels in the Bayahibe / Dominicus area.